Here we are at the end of January already, and it's time to say good-bye. 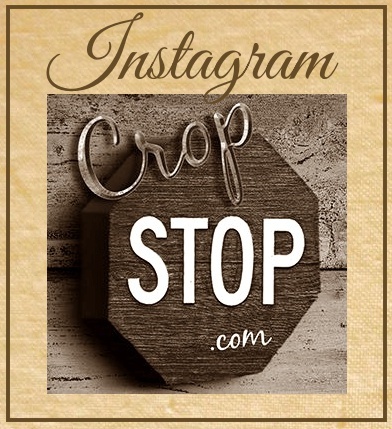 This is my last post for Cropstop. I've enjoyed working for Haylie-Jo for these past two years, and have been inspired by the projects you-all have linked up each month! 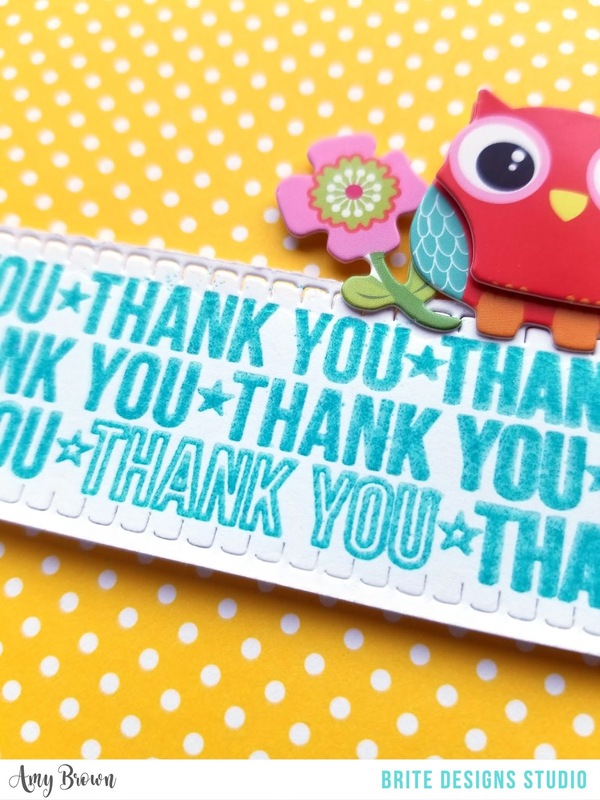 I wanted to say a big THANK YOU for all the sweet comments you left on the challenge post this month saying how you've enjoyed the projects I've posted each week and will miss the challenges. So kind of you to take the time to say that! Here's wishing you all a wonderful 2019 -- full of happiness and creativity! 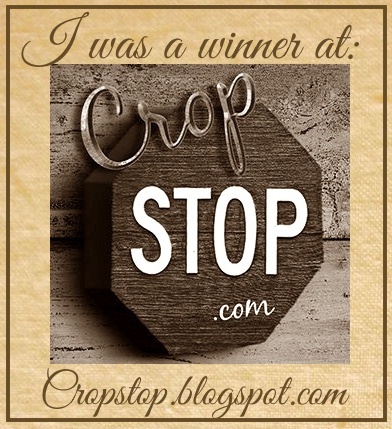 Come back on Thursday to see who won the Final Cropstop Challenge. 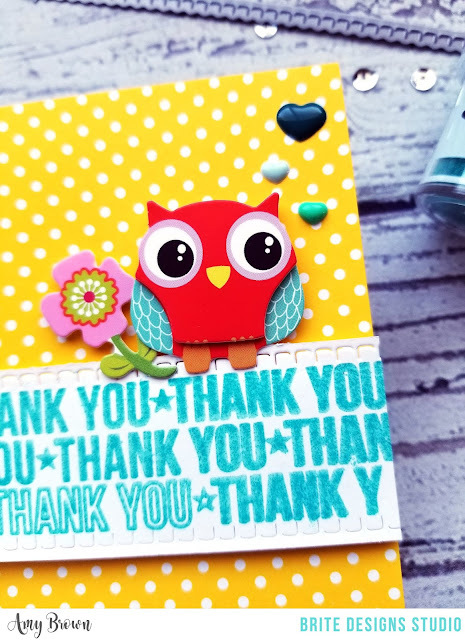 "I started this card by stamping the Thank You sentiment from MFT's Spotlight Sentiment onto some white Neenah cardstock and heat embossing it with this beautiful Oasis embossing powder by WOW! I trimmed the sentiment strip to fit the front of a card and added some stitched detail to the edges using MFT Home spun Stitch Lines. Afterwards I placed foam tape on the back and adhered it to the card front. I embellished this card with this adorable dimensional owl sticker that a friend sent me from Dollar Tree and a few "Date Night" enamel hearts by ChickANiddy." There's still a few days left to enter your project in our FINAL LINK PARTY! Stop by and show off any project that includes a product or two from companies carried in the Cropstop store. 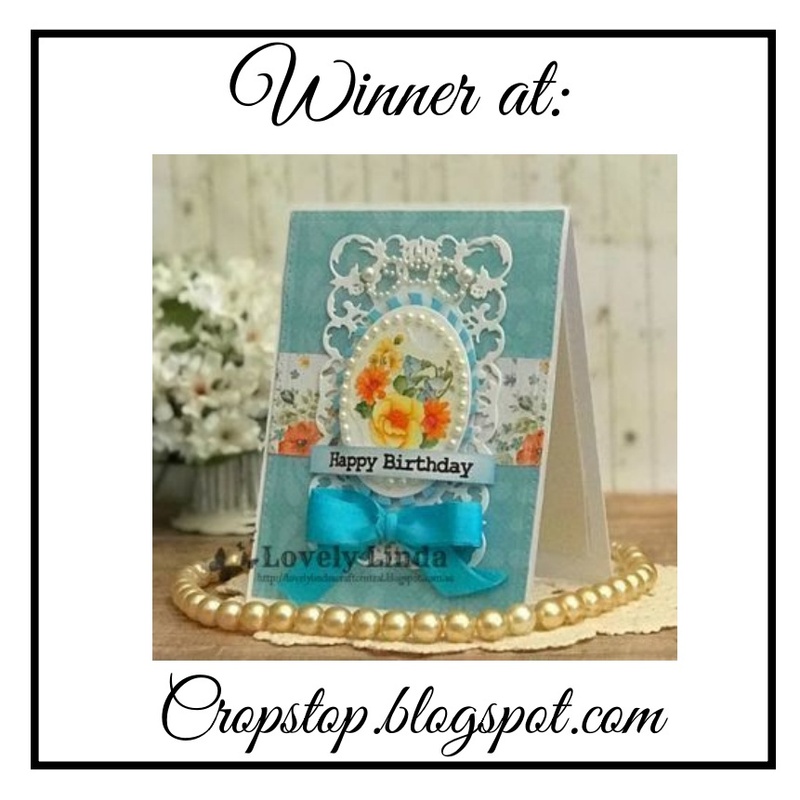 Today I have a fun snow themed card for you in pinks and browns. When I was gluing my sentiment on, I accidentally smudged some brown ink on the embossed background. Since I didn't feel like starting over, I diluted some distress oxides and created a spatter effect. Fun fix for my whoopsie! I'd love to see what you've been creating, so stop by the final link party and showoff any creation that includes a product or two from one of the companies carried in the Cropstop store.